This riding trolley will seat two children or one adult, and it has been recently re-built re-using a pair of twin axle bogies, and truck body. It’s proving run went well as can be seen in my video below ….. The frames of the bogies are cut from 6mm steel, with the axles resting in brass hornblocks. 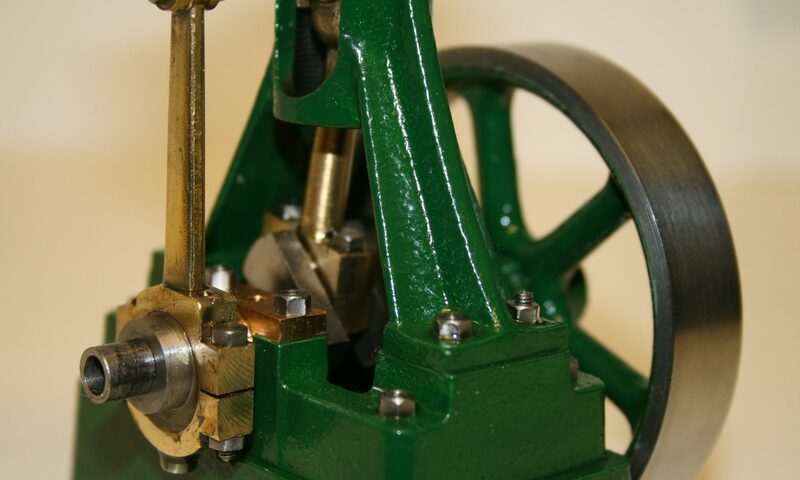 Each wheel is mounted on a bearing to the axle, enabling the wheels to rotate independent to each other – reducing wheel squeak on tight bends that tend to be found on smaller garden railways. Wheels are approx 2″ diameter. The body of the trolley is made from plywood, with a “planked wood” effect, and the running boards are cut from 18mm birch wood ply. The body is 235mm wide, 920mm long and 150mm high. There are two foam padded seats. The coupling point will accept a 6mm threaded screw through a coupling bar. The height from the coupling point to the rail head is approx 3.75″. The brake is cable operated and acts on the leading axle of the rear bogie. The brake blocks look to be metal, and therefore don’t have the full stopping capabilities that I have seen on other systems. I did think about leaving the trolley un-braked, but I refitted the parts because – as to paraphrase the words of George Mallory when asked why he climbed Everest – they were there!